With our partners Team 1011 - Crush, Team 2928 - Viking Robotics, and Team 5499 - Bay Orangutans, we were victorious at the 2017 Houston Championship! On April 17, 2019, the Greybots will be traveling to The World Championship in Texas, Houston. Mail a check or click the buttons below to donate to the Greybots via PayPal. Support Team 973 by donating to the Atascadero Education Foundation via AmazonSmile. 0.5% of your purchase will be donated to the team with no additional charge to your order. Change your Amazon.com bookmark to support us with every purchase. Your contribution is appreciated! FIRST Team 973 (The Greybots) is a high school robotics team from Atascadero, California. We strive to spread STEM (Science, Technology, Engineering, and Math) education by creating a hands-on, project-based, educational environment for students. Team 973 is made possible by our devoted mentors and generous sponsors. For up to date information on Team 973 check out our social media below. FIRST (For Inspiration and Recognition of Science and Technology) is a nonprofit organization founded in 1989 by Dean Kamen.  The FIRST Robotics Competition is a high school program that combines gracious professionalism with technology to promote an atmosphere that fosters a deeper appreciation for science and technology. Industry professionals and college students partner with teams to teach students valuable skills to succeed. FIRST Teams are also encouraged to involve their community in Science, Technology, Engineering, and Math events.